Here are our favourite things to see and do in the Outer Banks. Some are well known, some not so well known. Have a look around as we have included photos, videos, information and links. The beaches in the Outer Banks have been voted in the top 5 of family friendly beaches for years and years. From building sandcastles to boogy boarding you’ll be sure to make plenty of great family memories. The Outer Banks is full of activities for family fun. 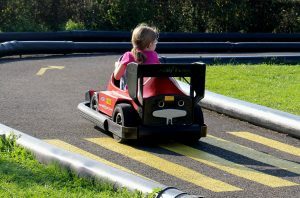 Our all time favorites are mini golf, go cart racing, and bumper boats. Yum! Honestly eating in the OBX probably our favorite thing ever! Tons of fresh local seafood to enjoy. 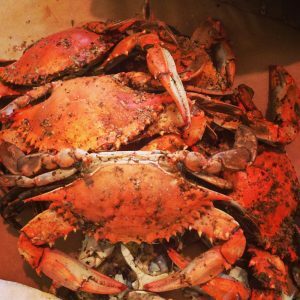 Be sure to check out Our OBX Guide for more ideas of places to eat. We will be adding suggestions as we can. In the Outer Banks, from Corolla to Ocracoke, four lighthouses stand in the Outer Banks. 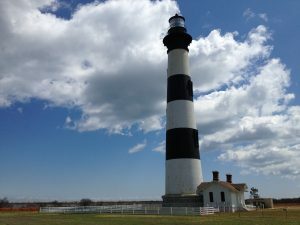 They are the Currituck Beach Lighthouse, Bodie Island Lighthouse, Cape Hatteras Lighthouse and Ocracoke Lighthouse are beloved attractions, revered as much for their beauty as for their reminder of our nation’s seafaring history. While GPS systems have eliminated the need for lighthouses in maritime travel, the lighthouses now make beautiful sites for visitors to explore. 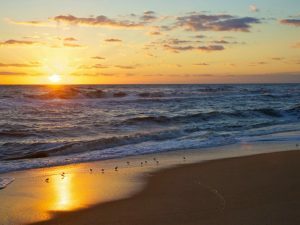 Many vacationers flock to the Outer Banks for the thrill of driving on the beach, a rare privilege that few East Coast beach vacation destinations can offer. On the Outer Banks, beach driving enthusiasts will find miles of shoreline to explore, from the uninhabited shoreline along Ocracoke Island to the solely 4WD accessible beaches of Carova, north of Corolla. Corolla – No permit required. 4×4 vehicles can access the beach at the Northern end of NC 12 where the paved road ends. 4×4 access South of this point is permitted between October 1 and April 30. Driving at night is allowed. Overnight parking is allowed if the occupant is actively fishing. ATV’s allowed for residents with permit. Carova – No permit required. 4×4 vehicles can access the beach at the Northern end of NC 12 where the paved road ends. 4×4 access North of this point is permitted year round. From there, visitors can enjoy miles of beach driving, scenic ocean views, and if they’re lucky, a glimpse of the wild horses, the area’s first and most treasured local residents. Duck – No public 4×4 access. Private access allows vehicles vehicles on the beach between October 1 – April 30. Southern Shores – Driving on the beach is prohibited. Kitty Hawk – Driving on the beach is prohibited. 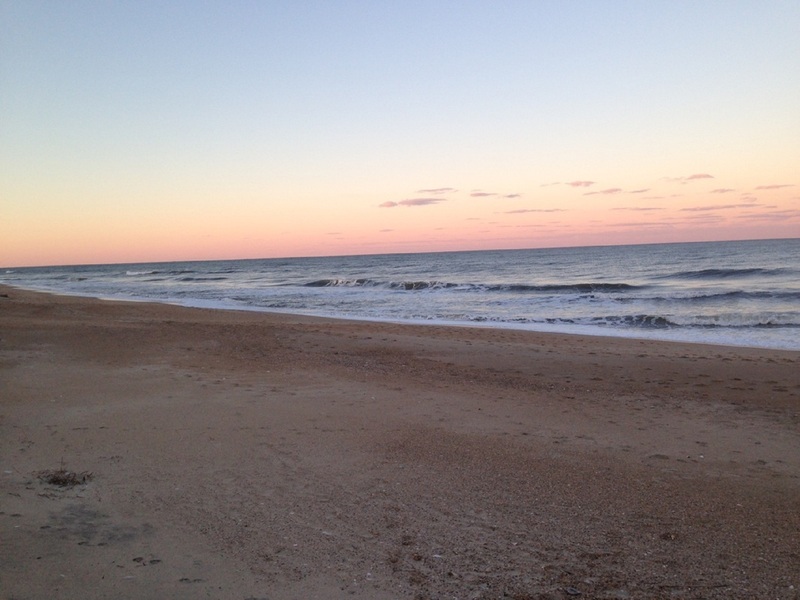 Kill Devil Hills & Nags Head – Permit required; permit is reciprocal on beaches in both towns. Driving on the beach is permitted October 1 – April 30. Permits are available at the cashier’s window in the Kill Devil Hills Town Hall, 102 Town Hall Drive, and at the Nags Head Town Hall, 5401 South Croatan Highway, from 8:30 until 5:00 p.m. They may also be obtained at TW’s Bait and Tackle Shop at 2230 South Croatan Highway in Nags Head during their business hours. Cape Hatteras National Seashore – (Rodanthe, Waves, Salvo, Avon, Buxton, Frisco, Hatteras, and Ocracoke) – Obtaining an ORV permit is an easy process that takes only minutes from start to finish. You can choose to visit a visitor center at Cape Hatteras National Seashore in person or you can visit the Cape Hatteras ORV Permit page at Recreation.gov. The OBX is a fisherman’s paradise. 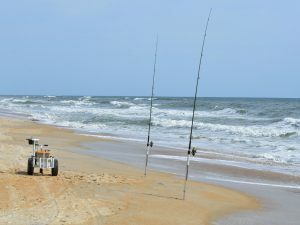 Whether you are planning to charter an inshore or offshore boat, prefer brackish fishing, fly fishing, pier fishing, surf fishing, or sound and headboat fishing the OBX has you covered! The waters are some of the best in the world and offer fishing opportunities year round. Experiencing the beauty of the Outer Banks from above is breathtaking. There are many companies that offer this service. 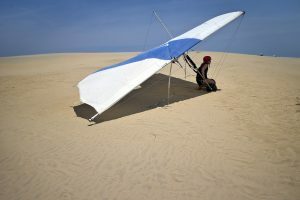 Kitty Hawk Kites is a great resource and offers many other activities other than helicopter tours. You can check out their pricing and availability here. OBX Airplanes has many flight packages but you may see a banner for their famous $15 flight. You can check them out here. The OBX is home to many artisans and craftsman. Scattered along the island you will find many shops dedicated to selling these local goods. Whether you looking for a piece of artwork to commemorate your family vacation or nautical wall hooks for your beach themed bathroom. 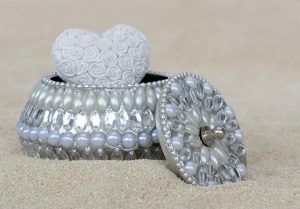 One store we always enjoy browsing is Beach House Dreams! JOCKEY’S RIDGE is the tallest natural sand dune system in the Eastern United States. Located in Nags Head, it is one of the most significant landmarks on the Outer Banks, North Carolina. It is always changing and always beautiful. A great place to experience the sunset with your family and fly a kite! Please be sure to check out the park page for helpful tips and please, remember to wear shoes – the sand can get very hot! The Outer Banks is home of many great golf clubs. The closest to our homes being Sea Scape Golf Links and Nags Head Golf Links. Sea Scape Golf Links in Kitty Hawk is one of the premier golf courses on the Outer Banks of North Carolina. Open to the public year round, Sea Scape offers club rentals and a fully stocked pro shop. The Sea Scape Bar & Grill has superb dinning facilities serving breakfast and lunch, along with a full ABC permitted bar. At Nags Head Golf Links in Nags Head you’ll discover a true Scottish links-style championship course nestled into the natural, windswept environment of the Outer Banks where sand dunes and rugged coastline create a different golfing experience. 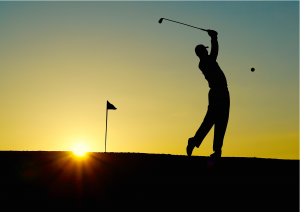 Other Golf Courses in nearby areas include The Carolina Club in Grandy, Kilmarlic Golf Club in Powells Point, The Links at Mulberry Hill in Edenton, The Currituck Club in Corolla, Duck Woods Country Club in Duck, The Pointe Golf Club in Powells Point, and The Sound Golf Links at Albemarle Plantation in Hertford.